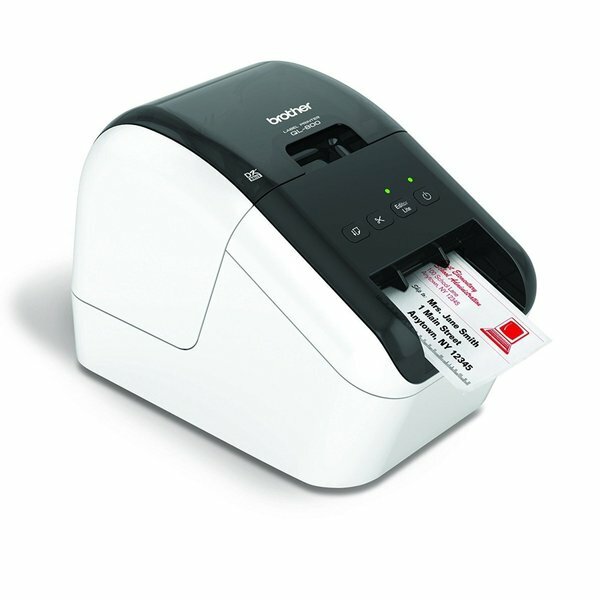 The Brother QL-800 series professional label printers offer unrivalled versatility not only in the office, but also retail, food, postal, facilities management and other industries. For developers and systems integrators looking to incorporate label printing as part of their solutions , software development kits for Windows®, iOS and Android offer an easy way to add support for the Brother QL-800 series label printers. Wide range of connectivity options. PC, Mac®, iOS® and Android™ compatibility. High speed printing of up to 110 labels per minute*. Use continuous rolls and cutter to print labels up to three feet in length. Stand-alone printing function where no PC required – ideal for food and retail applications. Create amazing Black/Red labels using DK-2251 or cost-effective paper labels for packages, envelopes, file folders, name badges, postage and more. Built inside the Brother QL-800 and QL-810W, this easy to use label design software works without the need to install software or drivers. Working like a USB flash drive, simply connect to your PC/Mac using USB, and launch the software from the drive that appears. 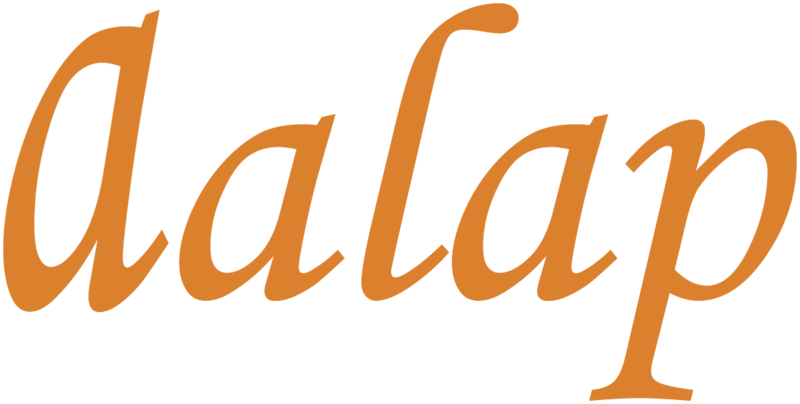 Include images, frames and any of your fonts on your label design and print! A version for network connected models is also available - simply run the software to allow many PC’s in an office to print labels to the one printer. Again, no installation needed. Design professional labels including images and logos, barcodes and frames. 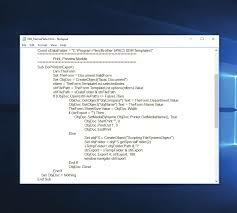 Link to data contained in Excel® or .csv files, to print many labels quickly and efficiently. The Microsoft Office add-in lets you highlight, click and print right from within Word, Excel or Outlook. 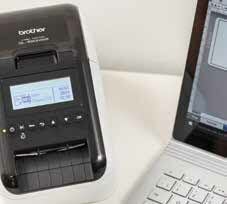 Print labels on the Brother QL-810W and QL-820NWB using the free iPrint&Label app. 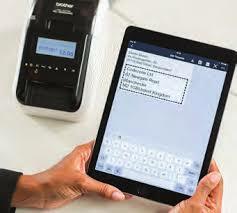 Connect via Wi-Fi or Bluetooth (on Brother QL-820NWB), and choose one of the pre-defined templates or quickly design your label from scratch. This free app is available from your mobile device’s app store by searching “Brother iPrint&Label”. 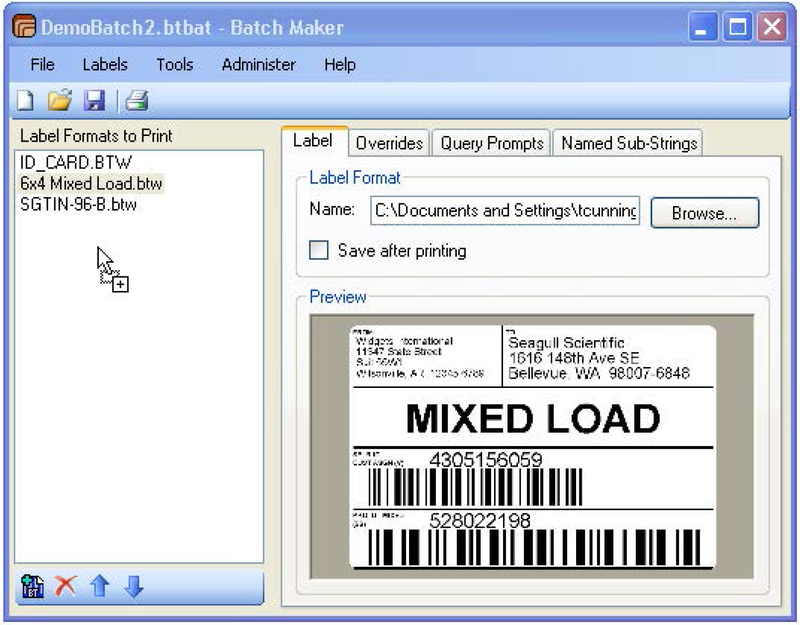 System integrators and software developers can now take advantage of various Brother SDK’s that allow easy integration of label printing directly within their own apps and software. For more information please visit http://www.brother-usa.com/lp/civ/home.aspx. 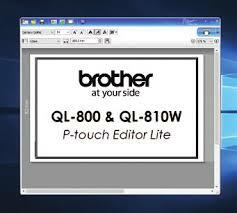 The Brother QL-820NWB has a large memory to store label templates designed in P-touch Editor. Label templates can be downloaded to the printer’s memory, and accessed using the integrated control panel and backlit graphic LCD display. 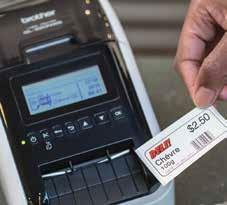 Ideal for printing current or future date/time on labels in the food and retail industries. Where the Brother QL-820NWB is deployed at multiple locations, updating the templates in all printers would normally be a time intensive operation. However the printer can automatically connect using FTP to a remote server, and if new templates are found, update these automatically. 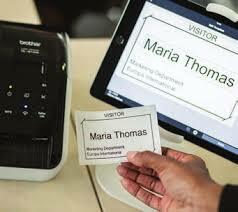 This helps companies save time and money, and ensures consistent operation at all remote sites. All this directly from the printer via the internet, without needing a PC connection.. The Brother QL-810W and QL-820NWB both support Apple® AirPrint* to enable printing from compatible apps on iOS devices and Mac. Additionally, the Brother QL-820NWB offers Bluetooth® connectivity to easily connect iOS and Android devices to the printer..
Dimensions:4.9" x 5.6" x 8.4"